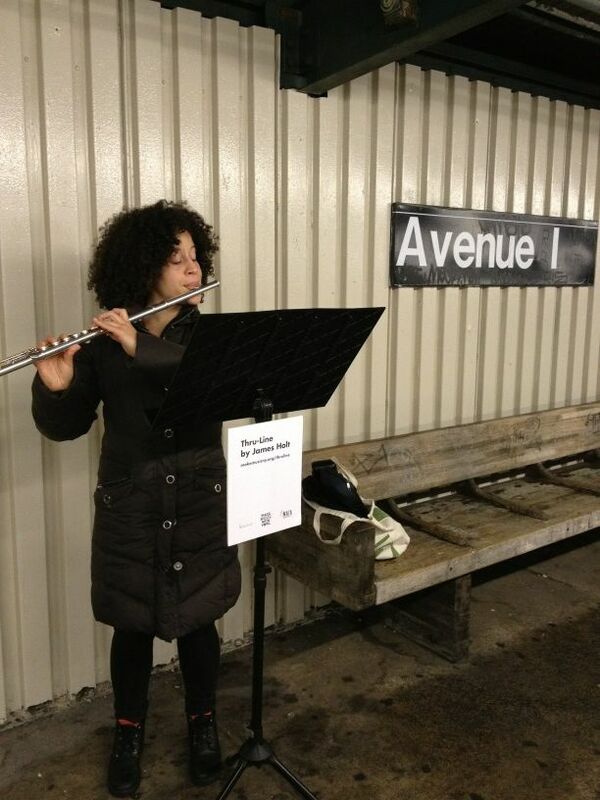 A Project where JS Bach’s Cello Suite in G Major was played by 18 cellos, 2 fl, 1 bass cl, 8 vln, 2 vla, 1 trumpet, 1 accordion, 1 bass, and a saxophone occupied 34 F-train platforms 7-8pm yesterday (December 21, 2011). :0) I was at Avenue I in Brooklyn. This photo is compliments of a tweet by a passer by who loved the project!